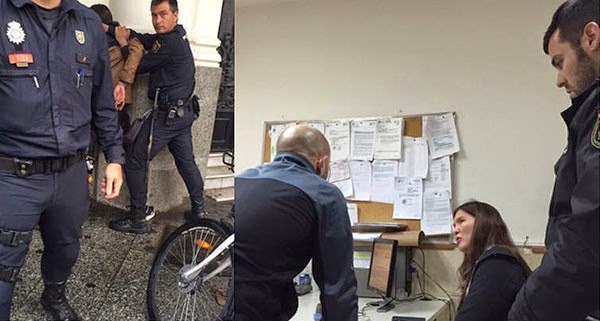 Philippine senator Pia Cayetano fell victim to a snatcher while participating in the Rock ‘n’ Roll half marathon in Madrid, Spain on April 26. On a rainy Sunday morning, I was running the streets of Madrid, Spain as a participant in the Madrid Rock ‘n’ Roll half marathon. In the afternoon, I found myself running again but for a different reason. As I was walking along an alley, glued to the Google maps on my phone, a bike swept past me as I saw a hand reach out and grab my phone! I ran after him but as he picked up speed on the bike, I threw my charger at him, hoping it would knock him out. But of course it didn't, so I started shouting for help. That proved to be more effective because these big guys across the street heard me and pulled him off his bike and pinned him to the ground. Police arrived in a few minutes and took me to the police station to file my report. Not one to get an opportunity pass, I practiced my Spanish on the police and gave my testimony in Spanish. I think I'll take a break from running tomorrow. Lesson learned: Always be on guard wherever you are." Cayetano also posted pictures of herself with the cops and another while making an affidavit at the police station. Bad elements of society don't choose who they victimize. Even a senator like Pia Cayetano can fall victim to snatchers. How much more the ordinary people?